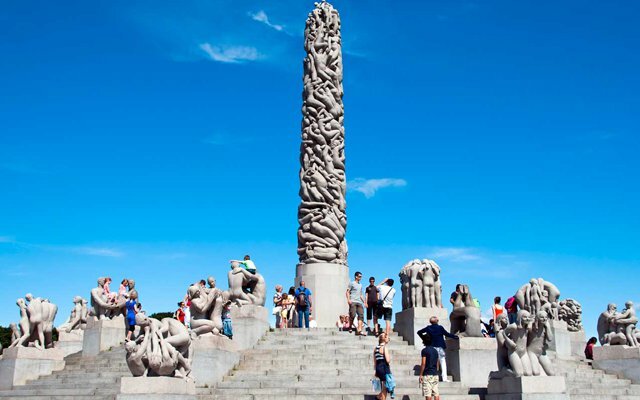 In the morning, comprehensive tour of the Danish capital with a local guide. Copenhagen is the largest Scandinavian city, and full of contrasts: the popular “Tivoli”, Christianborg Palace, the terraces of Nyhavn, the Mermaid… In the afternoon we set out for Jutland, passing through pleasant scenery on our way. Arrival at AARHUS and transfer to the hotel. 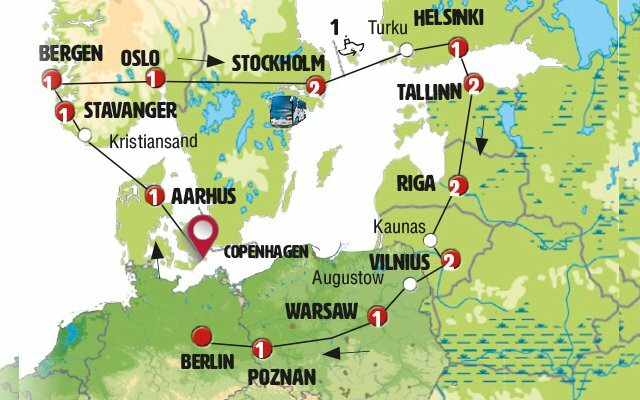 We will travel to HIRSTHALS where we will take a ferryboat to Norway crossing the North Sea. A three-hour voyage to KRISTIANSAND (ferryboat operation hours vary depending on the months. Some time is normally reserved to have lunch on the boat). 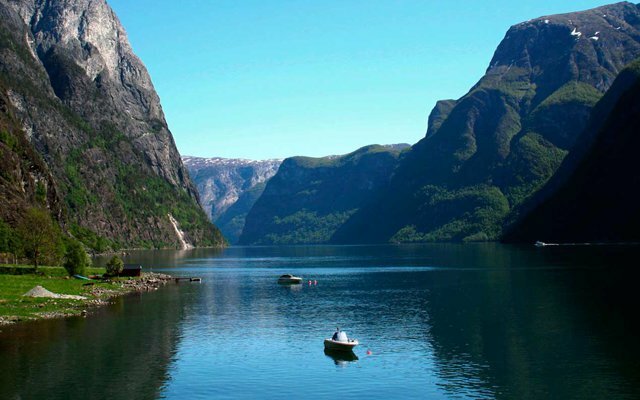 We will go along Norway’s southern coastline and enjoy its gorgeous landscapes. We will stop in a picturesque small town called STAVANGER, a beautiful town that has an active port by the fjord. A stage displaying beautiful landscapes. We will follow the route going through tunnels, bridges and travel some stretches by boat to go along the fjord coast of Norway. One of its undersea tunnels is the deepest one in the world. This stage gets more relaxed and spectacular with its two boat trips. Arrival in BERGEN at lunch time. We include a funicular trip to Mount Fløyen which offers amazing vistas of the town and Bergen fjord. There will be some free time later to enjoy the capitol city of fjords. We will spend some time in OSLO before departing for Sweden. Landscapes with forests and lakes. Stop in Karlstad for a stroll and lunch. Arrival in STOCKHOLM in the afternoon. Sightseeing tour of this gorgeous capital city built on 13 interconnected islands. Water is everywhere. We will visit Gamla Stan, Stockholm’s Old Town, as well as the museum area in Skansen and the broad avenues in the city centre. We recommend visiting its museums and parks. We also recommend visiting the Town Hall and the Vasa ship museum. We include a boat trip (regular line water local transport) to Suomenlinna Islands, – six islands where we highlight a great fortress that used to protect the sea entry to the city and was declared World Heritage – Time to stroll around (we will be able to cross island through its small pedestrian bridges). Late afternoon we shall board a ferry to Estonia; Ferry trip of around 2h30 duration; we suggest to admire the departure from Helsinki and the surrounding islands. Arrival to TALLINN. Sightseeing tour of this capital city included. It is the most populated city of the Baltic Countries, more modern looking, which better preserves the remnants of the Soviet rule. Free afternoon where an optional visit to the Central Market and the resort town of Jurmala is proposed. We will depart for LITHUANIA early in the morning. 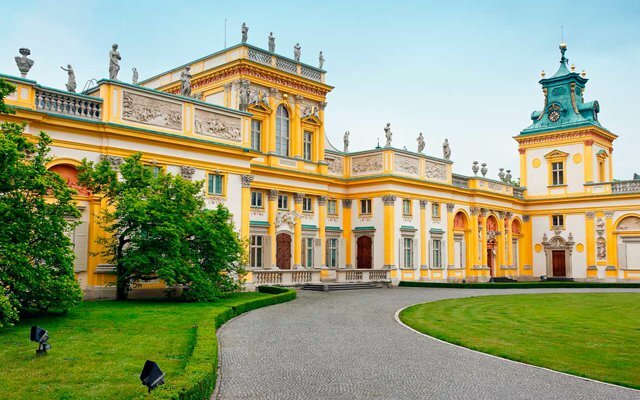 On our way there, we will visit the BAROQUE PALACE OF RUNDALE, built by the same architect who designed Saint Petersburg’s Hermitage Museum. We will cross over to Lithuania. This country has a strong Catholic influence. The impressive HILL OF CROSSES reminds us of this with thousands of crosses of all sizes. Lunch en route included. Afterwards, we will visit TRAKAI, a gorgeous castle located on a lake’s island quite close to Vilnius. Sojourn in VILNIUS. Note: Depending on the duration of sunlight, the visit to Trakai may take place on Wednesday after visiting the city. Sightseeing tour of the city erected on top of seven hills (like Rome, to which they like comparing it). 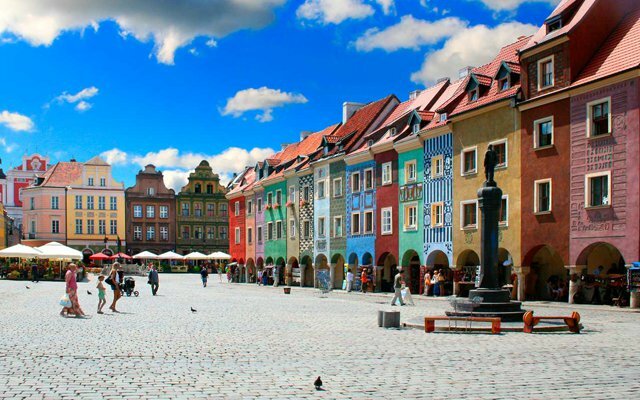 Its baroque churches, its walls, its castle, its market streets in the centre, its 1,200 medieval houses. Afternoon is freefor own shopping or leisure. In the morning panoramic tour of the city. After this, end of our services.